I bought my father the dell inspiron 3520 last year to use while he works off shore. He forgot his passwords and could not access the laptop and sent it back to me and bought a new one. I had to reset back to factory settings using the dell disk that was provided. since resetting i cannot connect to my home network wireless or with Ethernet connection. With the ethernet connection it just says unidentified and limited. I cannot toggle wifi antenna on or off. Does the system have a valid ip? Open command prompt and run ipconfig - send us a screenshot for review. 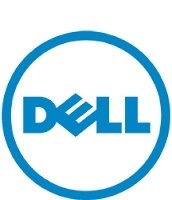 Update the BIOS from support.dell.com - http://dell.to/1Pwntme - enter the service tag and select drivers and downloads and run the BIOS update. Could you send us a screenshot of device manager with network adapters expanded? If you see that the drivers are not installed, then I would advise you to install the ethernet and wireless drivers from the Dell support site - link provided above.